The Algarve is just increasing in popularity and now is the time to invest in an Alcoutim property. The Alcoutim area is in the northeast of the region. It is set between the Spanish border to the east and Tavira and Castro Marim to the west and south. To the north, it borders the beautiful wild southeastern Alentejo. An Alcoutim property could be in the town center, overlooking the Guadiana river that forms the border between Portugal and Spain. Or it could be nestled in the countryside far from the hustle of metropolitan life. An Alcoutim property is a great base from which to explore southern Portugal and southwestern Spain. The average price for a house in Alcoutim hovers around Average price per sqm. 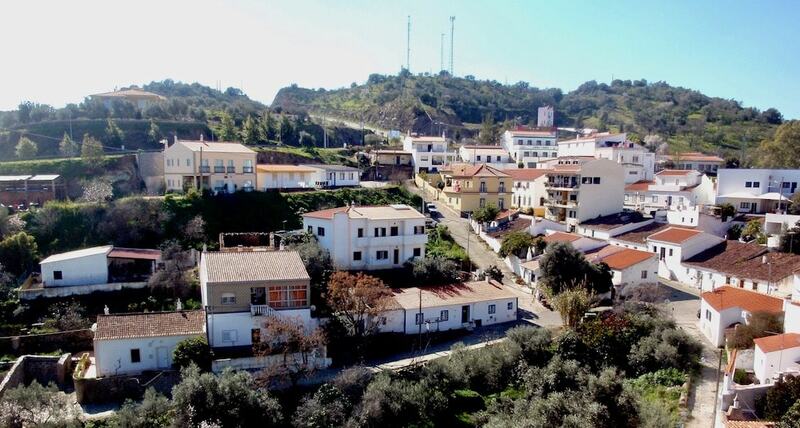 in Alcoutim €1,283 -2% properties#: 99 last change on: 19 Apr 2019 €1,283 per sq. meter. For an apartment, you can expect an average of Average price per sqm. in Alcoutim €805 0% properties#: 2 last change on: 19 Apr 2019 €805 , while investment opportunities currently have an average price per square meter of Average price per sqm. in Alcoutim €2,219 0% properties#: 4 last change on: 19 Apr 2019 €2,219 . The most renowned real estate agents in Alcoutim are RE/MAX with the most listings, followed by ERA and Mediloia. The Alcoutim area covers 575.36 km² with around 3,000 inhabitants, the least densely populated area in all of Portugal. About an hour’s drive from Faro International Airport, Alcoutim is beautifully tucked away from modern life. The regional motorway is around a half hour drive away, as is the nearest train station. The motorway connects Spain and Portugal from Lagos to Seville. The nearest main urban area in Spain is Huelva, a little over an hour’s drive away. Lisbon is best accessed via the glorious natural park of Vale do Guadiana. Join the motorway in central Alentejo and arrive there in around 3 hours. For golfers, there are three golf courses near the area: Castro Marim Golfe and Country Club and Quinta do Vale are a little to the south. The Costa Esuri Golf Club is to the southeast in Spain. There are plenty of International schools in the Algarve. The closest are the Colégio Santiago Internacional in Tavira and the Knightsbridge School International in Olhão. Alcoutim is set inland, half an hour’s drive from the coast. Being a hot and dry climate, it shares a lot of characteristics with the plains of the Alentejo. Life is slow and peaceful in the backlands of the Algarve, and Alcoutim is the region’s main town that sits on the eastern edge. The lazy river waters separate it from the neighboring Spanish town of Sanlucár de Guadiana. If you are brave enough to interrupt his sunbathing, you’ll find a ferryman down on the quay who will take you over for a few euros. Beautiful countryside surrounds the Alcoutim villas and apartments, far from the tourist trail. The stunning ‘Via Algarviana’, which meanders to Sagres at the very tip of Western Europe, starts here at Alcoutim. Along the way, there are beautiful walks and trails for hikers, bikers, and offroaders. The coastal beaches of the Algarve are a good stretch away. But Alcoutim is proud to present its very own fluvial beach, set on a bend in a tributary to the Guadiana. Sheltered and surrounded by greenery, it’s a welcome change from the baking stretches edging the south coast. Also unique to Alcoutim and Sanlúcar de Guadiana is the international zip line. Ferry on over the river and take a ride up the hills to find the platform for a zip line that takes you on an exhilarating ride back over the border to a meadow down by the river. They like to boast that they take you time traveling: due to the time difference between the countries you land 59 minutes before you left! You won’t find too many fellow expats up here. 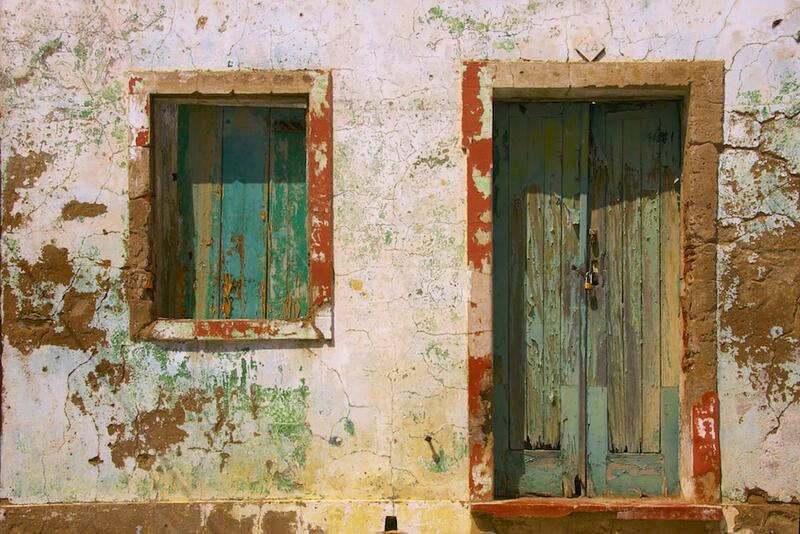 This is the place to come and immerse yourself in traditional Algarve life. Spend your afternoons chatting with the locals in one of the restaurants or bars overlooking the water, watching the river cruises sailing by. Alcoutim villas for sale in this area are secluded and private. Amenities are a drive away. This is your chance to practice self-sufficiency. Buy a horse, maybe a goat or two. Go skinny dipping in the stream that crosses your land. There’s nobody about to see you or intrude on your privacy. The Michelin restaurants might be left behind at the coastline along with the tourist hordes, but there’s plenty of opportunities to eat well up here. Any local restaurant will be presenting good food, home cooked and often homegrown or hunted. Inland, ditch the fish and get a game dish. The Alentejano black pigs give a wonderful meat, along with the wild boars. There are 1001 variations on delicious stews, ‘ensopados’ and ‘al fornos’. They are all a hearty meal for everyone to appreciate. In this area, you are surrounded by history, with Moorish castles on all sides. 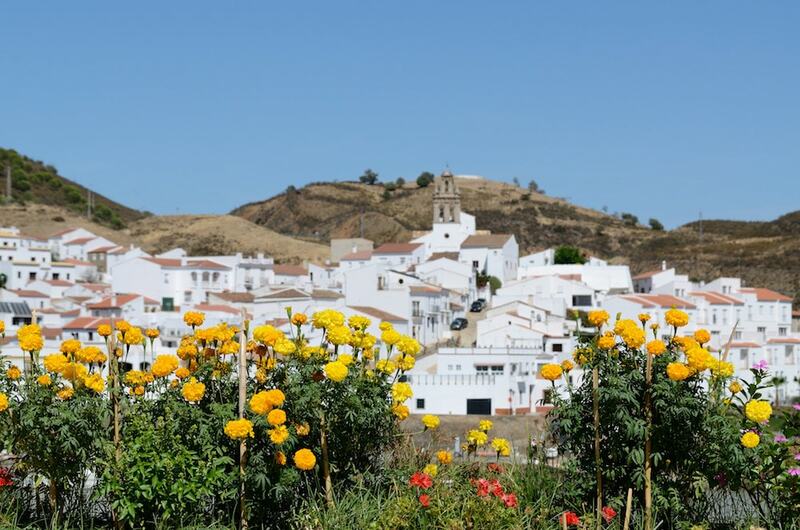 It’s well worth a trip out one afternoon to the Alentejo towns of Serpa and Mértola to see their castles and surrounding countryside. The drive through the hills along the backbone of the Algarve is spectacular. 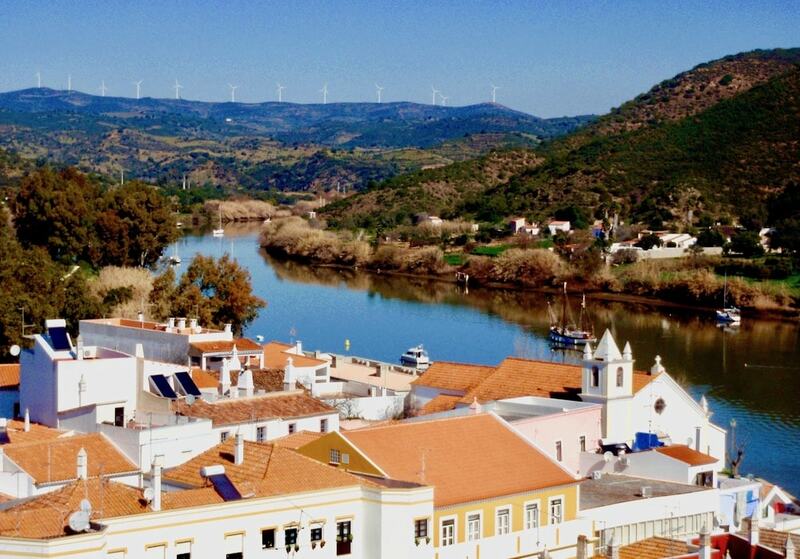 It takes you through the forests of Tavira, the rocky outcrops by Salir and Alte, the rolling hills of Silves and the peaks of the Monchique mountains. For owners of an Alcoutim property, this area is a small gem. You are tucked away in the corner of the Algarve, but still within reach of modern amenities. You can detox from the working world’s physical and mental pollution. Meditate, do yoga, or find a spot gazing across the hills to drink a cold beer. Relax. If we have piqued your interest in buying Alcoutim real estate, have a look at our database, which is full of information that will help you find that perfect property.